This is a true story of how two former co-victims, Tracy and Liselle, managed to take revenge on a toxic narcissist. 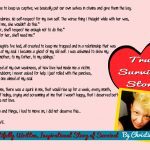 But these ladies didn’t pull any punches – and together, they took a huge step toward creating positive change for themselves and our fellow victims and survivors of narcissistic abuse in relationships. Listen to the story of these two beautiful survivors who took revenge on their (unknowingly) shared narcissist in the most beautiful way you can imagine – it’s unbelievably delicious! Tracy and Liselle both happened to be dating the same narcissist – and when they discovered it a few weeks ago, their lives changed for good. 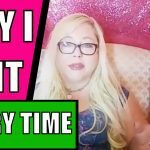 Because of the gaslighting and manipulation they were subjected to by their narcissist, Tracy now has a police record and Liselle had to get a restraining order lifted in order to even be here with us for this interview. 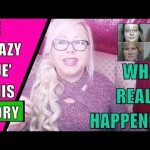 After Liselle was “unceremoniously dumped via Facebook messenger” by the narcissist she’d thought she’d been exclusive with for the past two years, Liselle decided to contact Tracy – and you won’t BELIEVE what happened next. Find out how these two are taking back THEIR lives and how they’re ethically taking revenge on a narcissist. Watch the exclusive interview, right here – and find out what happened the first time they met (when they were both still dating the narcissist). Related: Should you contact the narcissist’s new supply? Liselle will also offer a quick way to test your man and make sure you’re the only one in his life – you won’t believe how simple it is! You’ll also hear what they’ve learned since then and the kinds of gaslighting and manipulation their narcissist used against them – including isolation, triangulation and of course the two-way smear campaign he used to attempt to continue to manipulate them both. 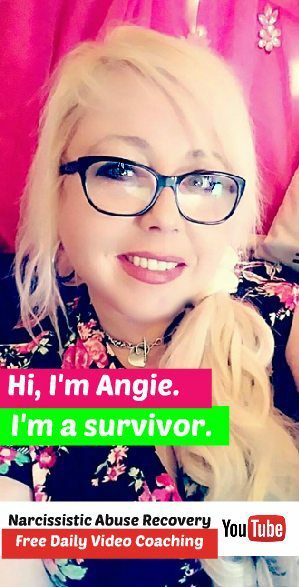 Get my books at http://booksangiewrote.com and pick up your free 5-day fear-busting email course (especially designed for narcissistic abuse survivors) at http://narcissismsupportcoach.com. Can you believe it?? I was so SHOCKED! Share your thoughts in the comments section – let’s discuss this!